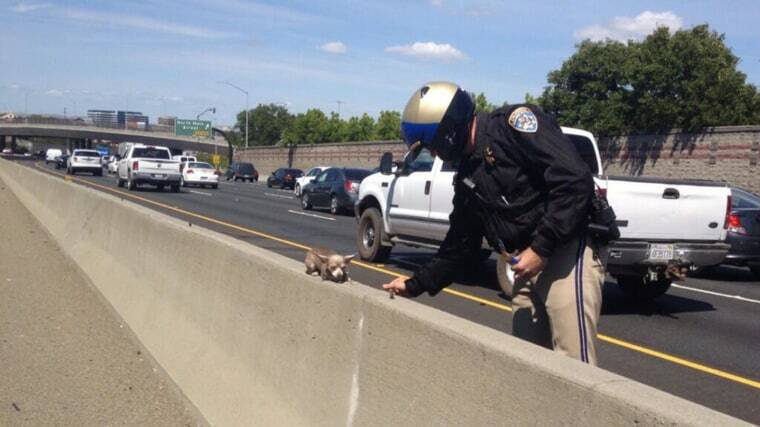 The rescue picture showed the Chihuahua perched on a roadway median on Interstate Highway 680 during rush hour. "I would try to encourage everybody to try and rescue any dog they can," Edmon said. "Animal control has already been inundated with calls for this particular dog because of the story, but don't be discouraged if you can't get this exact dog, look for other dogs out there." Edmon said that he didn't know how the dog ended up stranded on the freeway. "As of right now there are no witnesses that actually saw someone take the dog out of a car and leave it there," he said. Edmon said that the CHP receives calls about dogs loose on the freeway on a weekly basis. "It's not uncommon at all," he said. Contra Costa Animal Services posted an update on Facebook Saturday, saying the Chihuahua "may already have a home if her owner doesn't come for her."